The sparkle has gone out of this dual gold medallist's career. Shooter Michael Diamond will not be allowed to go to Rio. The six-time Olympian and dual gold medallist (Atlanta 1996 and Sydney 2000) was informed on Thursday afternoon by Shooting Australia that he has been ruled ineligible for Olympic selection. This all goes back to an incident in May when the 44-year-old was charged with high-range drink-driving, not keeping a firearm safely and handling a firearm under the influence of alcohol at Nelson Bay on the NSW north coast. The timing on this is really interesting. Earlier on Thursday, Diamond and his legal team fronted the Australian Olympic Committee in Sydney to explain why he should still be allowed to compete in Brazil while facing the charges. A few hours afterwards, Shooting Australia issued the statement ruling him ineligible. 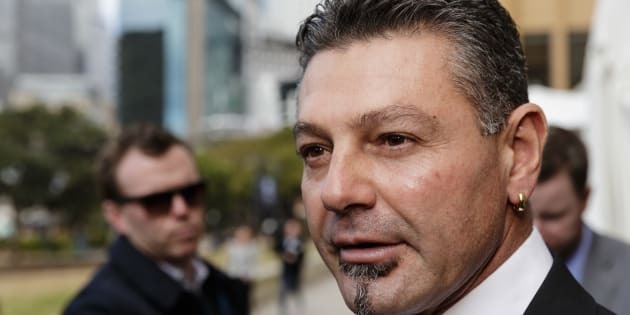 "The incident involving Michael Diamond has, in our view, put our sport in a position which is inappropriate," Shooting Australia CEO Damian Marangon said. The AOC Executive said it supported Shooting Australia's decision not to nominate Diamond to the 2016 Australian Olympic Team and did not exercise its discretion to excuse the breaches. "The Executive felt there was no basis on which to excuse the breaches" said AOC CEO Fiona de Jong. Australia's Rio Olympics Chef de Mission Kitty Chiller said Shooting Australia had taken into account "the AOC's nomination and selection standards". The AOC may now face accusations of inconsistency in athlete section in the wake of this announcement. Last week, the AOC ruled star hockey player Anna Flanagan could still compete in Rio. Flanagan was charged with with drink driving in March this year, and failed to disclose the charge to Hockey Australia and the AOC, despite an agreement saying she must disclose any serious offence or pending legal case. Flanagan's lawyers argued that the form related to "serious offences" only and advised her she was not required to disclose the charge. The Shooting Australia Selection Committee will nominate its Men's Trap athletes to the AOC prior to the July 4 deadline. Diamond still has the right to appeal his non-nomination.